Good morning! Today I am normally playing along with SSINK as a design team member with our sketch challenge, but this week I decided to play along as a simple player! One of the things about being a designer with SSINK, is that we can only use Stampin' Up! supplies. I have lots of other non SU! toys that I enjoy just as much and I enjoy playing with them too. Come visit the gals at SSINK and play along with our fun sketch this week! 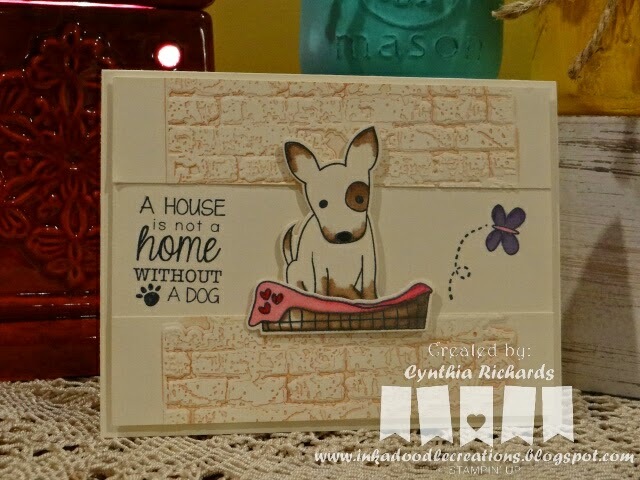 When I came across this cute dog stamp set, I knew I needed to pair it with my brick wall embossing folder to create the edging for my challenge card. Now of course I did use some SU! supplies....I used some of the blendabilities to color in the dogs bed, butterfly and or course, some of the dirtiness on the doggie. For the sake of name calling, we'll call her "Ellie"!!! Ellie, you see has been naughty, she has been digging holes in the backyard with her friend and partner in crime, "Roxie"!! 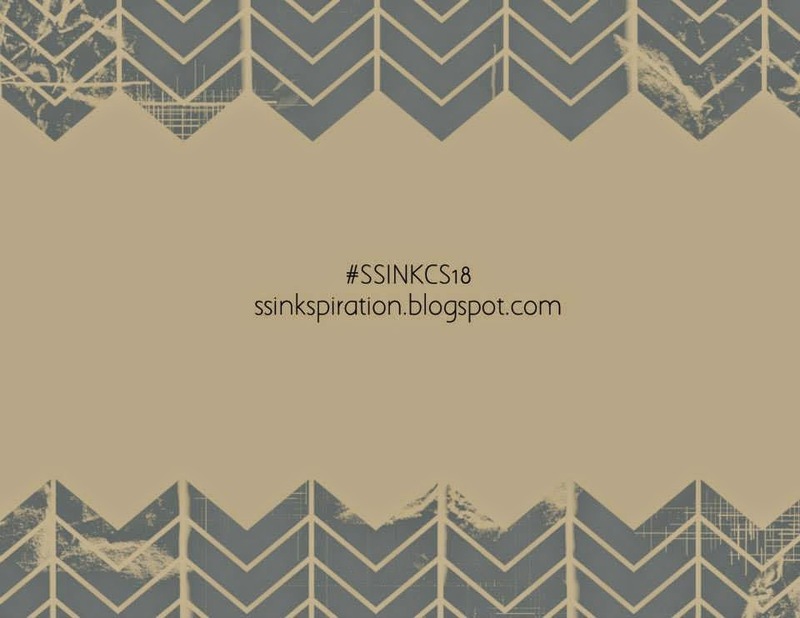 I hope you have enjoyed my challenge card for this months sketch challenge over at SSINK! Click the link above and go get inkspired from the design team! Oh, how adorable - love the "wall"